Experience living in an exclusive community @ Governors HIlls a classy subdivision with an affordable price. Invest now for your family. With 24hrs roving security and CCTV camera in almost all corners for recording all that coming in and going out. Just outside the subdivision is Bayleaf Hotel and Lyceum of the Philippines. There's also an on-going construction of a mall near the main gate. The Governor’s Hills is a whopping 97 hectares of open land in Barangay Biclatan in General Trias City, Province of Cavite is being developed into a residential community by Suntrust Properties, Inc. Due to its massive vastness, The Governor’s Hills was divided into 9 different phases. Each of the phases is themed separately for easier identification. Phase 1 to 3 will be called Palmdale, Phase 4 as Cliffwood, Phase 5 will be known as Fairfield, Phase 6 as Ridgecrest, Phase 7 as Lakewood, Phase 8 as Grand View Village and Phase 9 as Greensboro. The Governor’s Hill offers affordable but the quality house and lot packages with prices easily affordable by middle-class families. It is an ideal place for families who want to upgrade their residences, also perfect for starting or for growing families. This residential community is also very ideal for retirees who want to enjoy a peaceful and quiet life. At the Governor’s Hills, one can easily enjoy an exceptionally convenient and dynamic life. We are inviting Overseas Filipino Workers who are old-time residents of Cavite, Laguna and Batangas Provinces. This residential community is an ideal place for your retirement. Living a quiet life doesn’t mean leaving you in the solitary confines of a solidly quiet place, it simply means, you have the option to enjoy home if you are not interested to be at the best recreational facilities that are available. This residential community shares the natural goodness of General Trias’ cool environment. With a good number of trees growing within the community, everybody’s health is surely boosted because a much cooler fresh air becomes naturally abundant. With every open field covered by thick greenery of grasses serving as earth’s carpet, the soothing coolness of The Governor’s Hills is truly priceless. The Governor’s Hills by Suntrust re-define country living. The 1.8 hectares of the total 97 hectares are dedicated to an in-house complex where retail and convenient stores are all situated. This apart from the fact that school, outside amenities and recreations and other places of key public interest. The Governor’s Hills is a promise of comfort, convenience, and safety for you and your family. 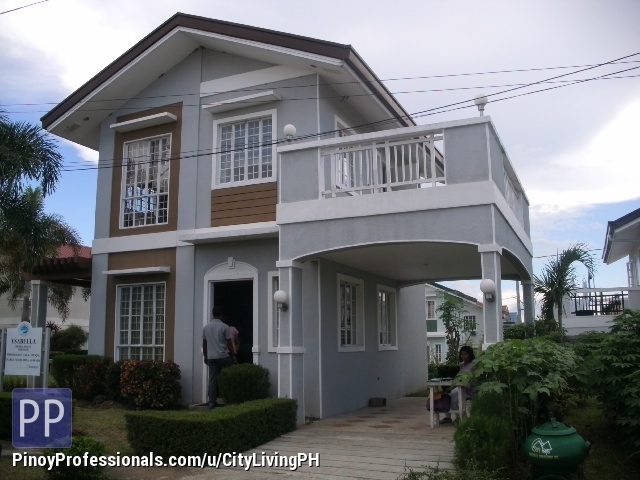 Want to experience the cool hills of Gen, Trias Cavite and savor the best in upland living? At The Governor’s Hills in Cavite, the rolling terrain on the way to this terrific destination brings more fun and excitement while you cruise the lush vegetation. This ambitious project is another offering from Suntrust Properties, Inc.
Every home is distinct, the measurement precision and with the basic amenities and facilities such as bedrooms, living room, kitchen with sink, toilet and bath, concrete (accented with tiles) carport, balcony (for selected units), family/ service areas and a lot more. Outdoor amenities are the one of the best in the industry and the envy of other homeowners, such as the Governor’s Hills Science School, a village clubhouse, parking, multi-purpose hall, swimming pool with bar (for adults), kiddie pool, putting green, basketball court, landscaped mini-park with gazebo, open spaces in luscious greens and so much more! Schools like the De La Salle University, Immaculate Conception Academy, Philippine Christian University, Philippine Women’s University, and St. Scholastica’s College are all located near the project. SM Bacoor, SM City Dasma, Robinson’s Place Imus, Pilipinas, and other similar establishments are close to home. While hospitals such as the Gentri Doctors’ Medical Center, Divine Grace Medical Center and Gen. Trias Maternity and Pediatric Hospital are only minutes away. The Governor’s Hills is also surrounded by various industrial zones such as the Cavite Eco-Industrial Estate, Cavite Economic Zone, Golden Mile Business Park, Gateway Business Park and Cavite Export Processing Zone, among others where the best and the brightest hone their craft. When you work here, going home is really fast and easy!